I haven't seen 12 police cars respond to something since I was involved in that fist fight in Dunkin Donuts 8 years ago. jblaze wrote: I haven't seen 12 police cars respond to something since I was involved in that fist fight in Dunkin Donuts 8 years ago. 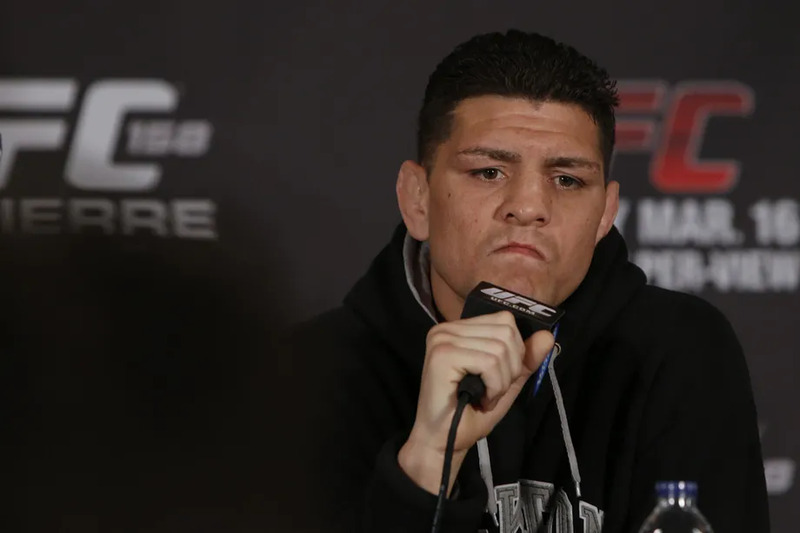 In late May, former UFC title contender Nick Diaz was involved in a domestic violence case in Las Vegas. According to reports, a woman claimed Diaz “grabbed her by the head and slammed her to the ground” during an altercation that happened in a private residence on Friday, May 25th. Diaz was subsequently charged with felony domestic battery by strangulation and misdemeanor domestic battery, and was released upon posting bail amounting to $18,000. But on Tuesday, prosecutors working with the Nevada Clark County District Attorney’s office added two more charges: felony count of battery constituting domestic violence by strangulation and felony battery domestic violence resulting in substantial bodily harm. The news was first reported by MMAjunkie, who also obtained a statement from Diaz’s attorney, Ross Goodman. In a statement previously released by the UFC, the company will be conducting an investigation through an independent party to give Diaz the due process he deserves. Objection, conjecture and hearsay case dismissed.